100% Polyester Ceiling Insulation to reduce heat loss through your Ceiling Heat rises and it’s estimated that 30-35% of heat loss from an un-insulated house is lost through your ceiling. Your roof cavity is, therefore, the best place to start adding insulation in your home. Ceiling insulation will keep you warmer in winter but also cooler in summer. Roof Insulation has different thickness options for top up on homes under insulated. As well as the SANS compliant Isotherm 145mm for un-insulated homes. The Isotherm Polyester ceiling Insulation Blanket is an easy form of insulation to work with and is highly effective. In fact, Isotherm Ceiling insulation is made from polyester just like duvets. And similarly, traps the warmth underneath the blanket to keep your home warmer. Isotherm is a safe insulation material free from the chemicals and itchy fibers typical of traditional insulation. Should you be uncertain of what type of Isotherm installers you will need for your roof space give us a call. With offices in most major cities as well as smaller towns throughout South Africa. Go to our Isotherm find an installer page. You will locate a branch near you. Always use the services of a certified Isotherm Insulation Installer. Roof Insulation has offices throughout the Western Cape, Johannesburg, and Pretoria as well as KZN. Recycling plastic protects the environment by keeping the carbon content locked up in the polyester fiber and reducing landfill waste. 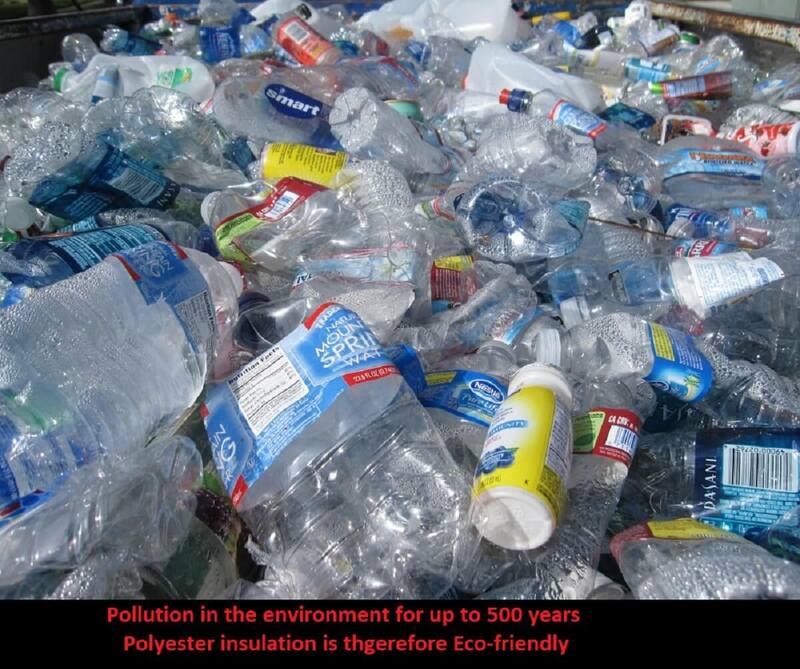 Polyester products are made in a near-zero waste production process and all products are fully recyclable.